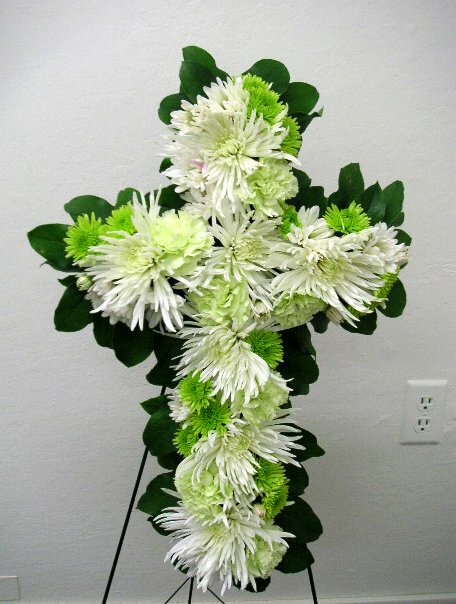 Photos in this page show some of examples of funeral floral decorations. All designs introduced here are made at the classroom of California Flower Art Academy. 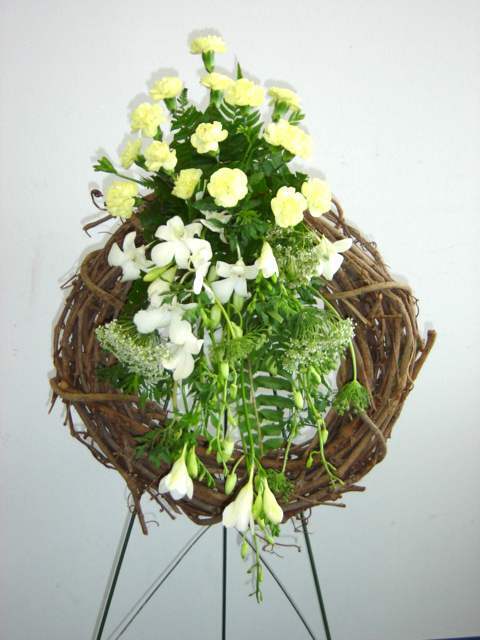 Among so many kinds of floral decorations the demand for funeral arrangement is always available rain or shine throughout the year regardless of the economic situation. 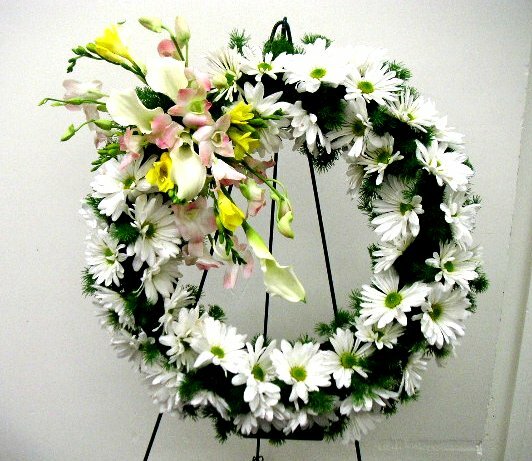 The demand for funeral floral decoration services will never stop regardless of the market conditions as far as "Man is mortal". 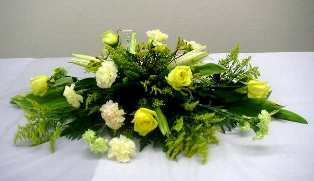 Whether we like it or not, we are unable to avoid and escape from funerals quite unfortunately. Many people would like to stay away from sad or miserable events such as funeral ceremonies, which is quite understandable. 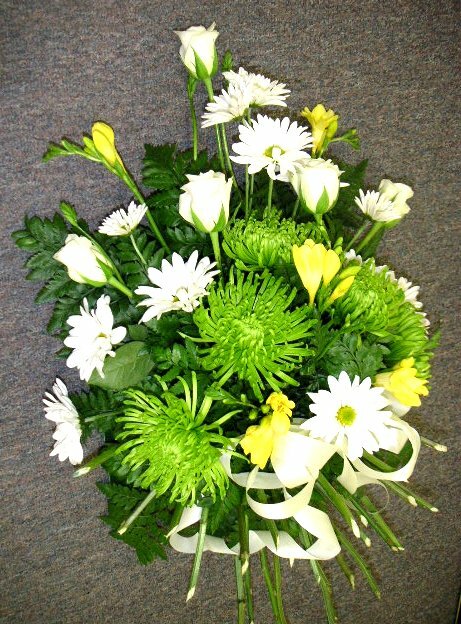 However some people engage in the funeral related business such as mortician, funeral home and funeral flower decorators. 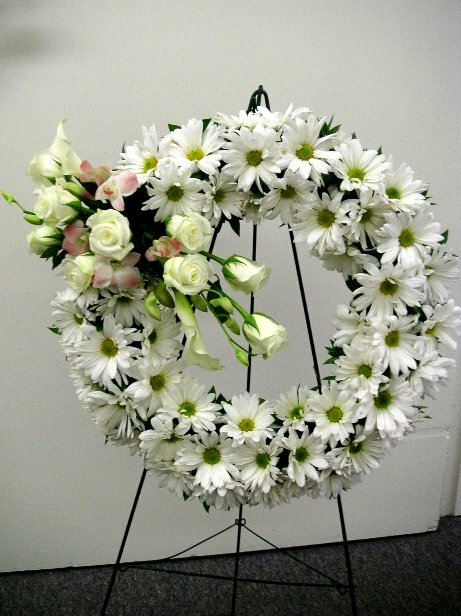 Once in a while our school California Flower Art Academy is approached by students who would like to learn how to make funeral floral arrangements. 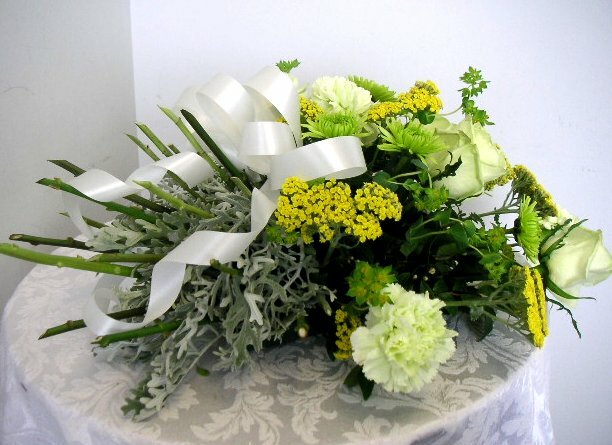 They belong to Funeral Floral Design & Decoration Course offered for $298 which covers not only tuition but also flowers and other materials used for flower arrangements. These students clearly recognize that funeral floral service is mandatory when they run their own floral shop or work as a florist.